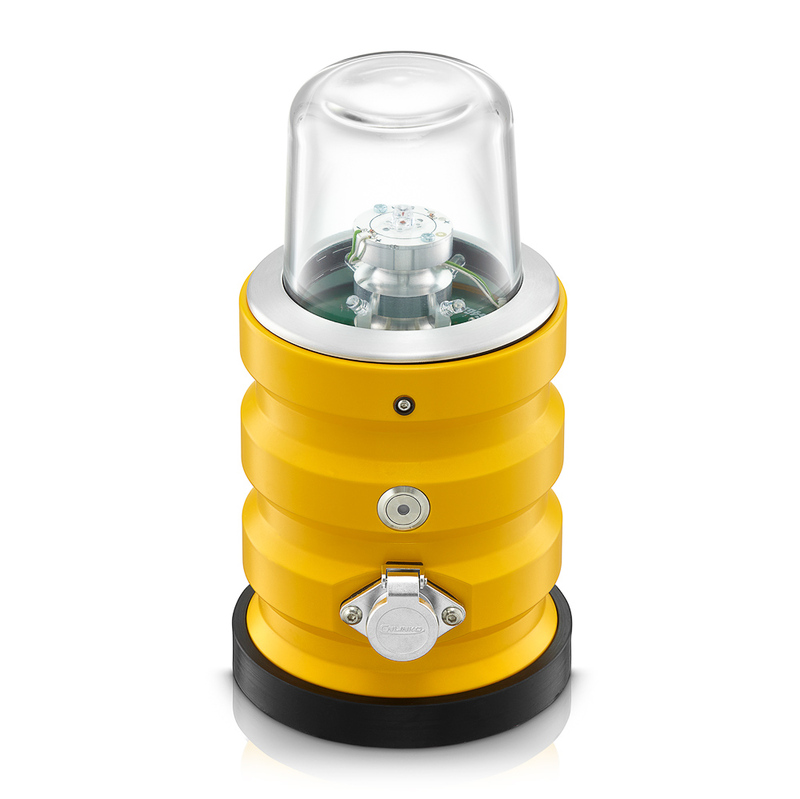 SP-102 portable lights are ICAO compliant airfield lights designed to operate in remote areas. LED optics generates correct light output in terms of intensity and chromaticity. SP-102 aviation light is powered by a standard deep-cycle battery which can be stored locally. Runway mobile lights are perfect for all the places where the installation or work of permanent lights is impossible. They are quick and easy to install and allow for carrying out flight operations even in the most remote, hard-to-reach places. Today, we will elaborate on runway threshold portable solar lights. Runway threshold lights, besides edge lights, are the most important element of runway lighting. Thanks to these lights, a pilot can identify both the beginning and the end of a runway. Just like any other lights, runway threshold lights need to meet the ICAO regulations (International Civil Aviation Organization), Annex 14. Moreover, the systems used in the United States of America need to meet the requirements of the FAA (Federal Aviation Agency). Lighting used at European airports are adjusted to the following standards: EN 61000-4-2:2009, EN 61000-4-3:2007/A2:2011, PN-EN 61000-4-4:2013-05, EN 61000-4-5:2014-10, EN 61000-4-6: 2014-04. Runway threshold lights give out a two-directional light. They are green in the landing spot and red in the place the landing operation should end. The lights play a key role in places where it is difficult to identify the beginning and ending of a runway due to other lights in the surroundings. As it was said at the very beginning, runway portable lights are used in places that lack in infrastructure or are hard to reach. In such cases, runway threshold solar lights are often an optimal solution. They need 8 hours for full charging. After this, they can work for 36 hours! Where exactly is runway threshold portable solar lighting used? The threshold portable lights’ work time is dependent on the light intensity it uses. If the lights are set to low intensity, they will work about 25 hours. They will work about 10 hours in the high-intensity mode. An option to set an automatic from-dusk-to-dawn mode. An option to work in a night vision mode. Portable lighting is often used in places with extreme weather conditions. Therefore, the lights should be particularly resistance to extremely low and high temperatures. The best systems provide a standard, failure-free performance in temperatures from -20°C o 50°C. However, a special lighting set can work in temperatures from -40°C to 80°C. Runway threshold portable solar lighting used at hard-to-reach airports is not exposed to extreme temperatures only. One of the most important characteristics required from runway lighting is reliability. That’s why, in this case, it is entirely justify to provide three independent power sources. The first one is a solar battery. The second – a charging station. The third – an electric power grid. Threshold portable lights monitoring is carried out remotely. The system is equipped with a multifunctional button, and ALC (Automatic Lights Control) which adjusts the light intensity when the battery level is low. Besides that, the system has an integrated microprocessor, and a system that prevents overcharging and a total battery discharge.